Safari 7s kicked off on Friday Nov 9, 2018 at RFUEA Grounds with Women’s action before Saturday’s main action. The Kenya Rugby Union through the Nairobi traffic department has announced traffic diversion for both Saturday and Sunday between 8am and 10pm. KRU has proposed rerouting of traffic from Adams Arcade towards Ngong town. There shall be a diversion of regular traffic at Ngong rd (near Ole Dume rd) and Joseph Kangethe rd, the vehicles will then move through Jamhuri Estate on Kibera Station rd Where they will rejoin Ngong rd and proceed with their journey. Vehicles coming from Dagoretti side will reroute at Swedish school junction at Makindi Road to meet up with Riara Road then flow down to Ole Dume rd and finally on to Ngong rd. The area between Impala Club and Telkom will be left for fans on foot and emergency vehicles. Fans will use the lower gate as has been the case during the international season, VIP guests will use the gate next to Alpha Fit Gym while suppliers will use the upper gate. Suppliers are expected to have finished all their set up by Thursday evening. KRU also managed to secure parking at the Junction Mall on the Riara Road entrance. The parking space is able to accommodate 250 cars. They have also partnered with Pewin and Little cabs who will be their official partners and will be available throughout the weekend to ferry fans from their homes to the venue and back. The tournament takes on the 12 team format that will see these confirmed sides battle it out for the Robin Cahill Trophy: Spain, Portugal, Apache, Samurai, Red Wailers, Namibia, Uganda, Uganda II, Shujaa, Morans, Mwamba and Homeboyz. 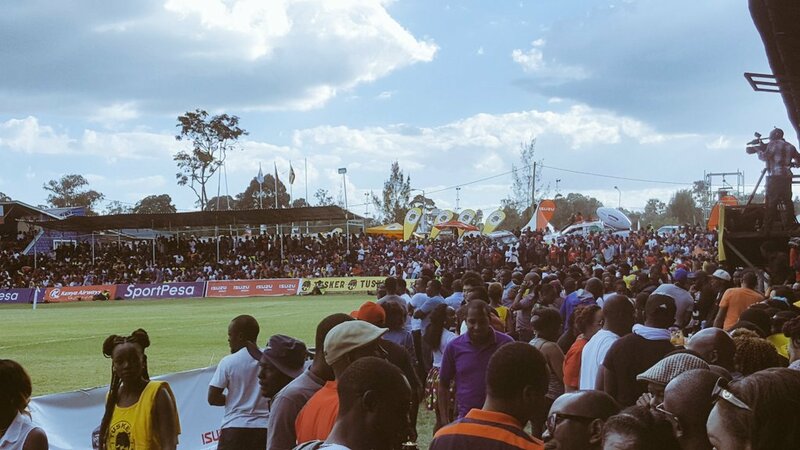 The 21st edition of the Safari Sevens takes place this weekend, 9th-11th November at the RFUEA Grounds. It returns to this venue after a 7-year hiatus as the last time this venue hosted the tournament was in 2010.